The story of Zulqarnayn in Surah Kahaf is one of the most talked about passages in the Quran. This online course is the first ever attempt to interpret this passage by using the method suggested by Iqbal for the study of the Quranic narratives. The main focus of the course will be the Quranic concept of an ideal ruler, especially for our times. 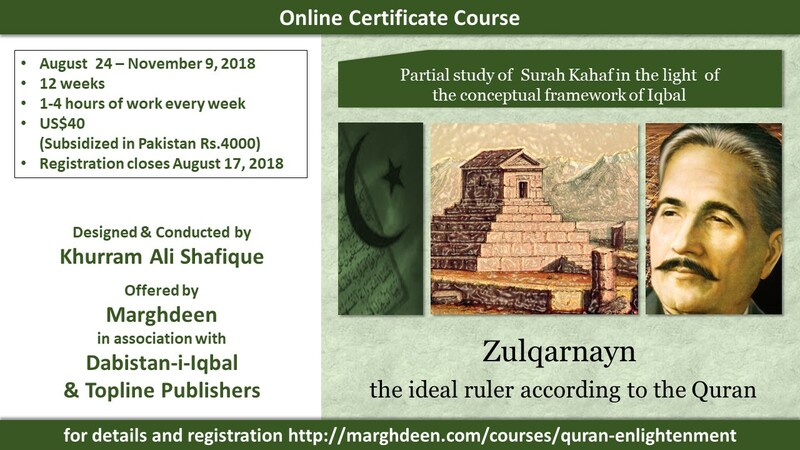 By registering for this course you will become part of a unique team that will set out to navigate, for the first time, this uncharted territory – the Quranic story of Zulqarnayn in the light of the framework of Iqbal. 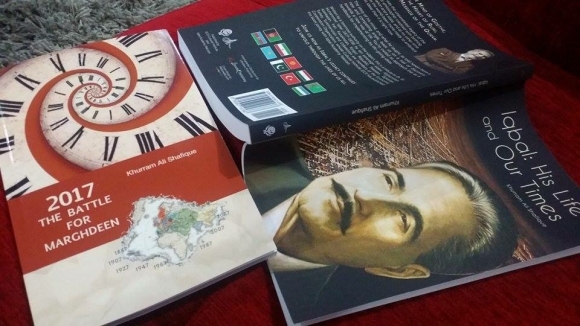 Scholars have always been curious about the identity of the historical Zulqarnayn. In the past, it was supposed to be Alexander the Great but now the consensus is building on Cyrus the Great. This 12-week course consists of weekly blog posts, which will also be sent via email for your convenience. You will be required to engage in discussion with other participants by posting your comments on the course blog (restricted to registered participants), and this will entitle you to earning the certificate. There will be no assignments or tests. However, the facilitator will be providing you quality feedback on your input throughout the course. Real-time interaction does not constitute a part of this course but one-on-one online conversation with the course facilitator can be arranged on request (up to 30 minutes per month) if you desire. By following the procedure for enrollment given below, you indicate that you agree with the Terms of Service for the Online Courses at Marghdeen. If you are making payment from outside Pakistan, please use the Paypal button below for paying US$40 or its equivalent in your currency. You will receive a confirmation email with further instructions (usually within 24 hours). You can transfer the amount of Rs.4000 (Four Thousand Rupees only) into the bank account of Topline Publishers or send a crossed-cheque at their postal address. The bank account for online money transfer is: Meezan Bank, Branch Code: 0165, Account No: 0165-010-141-5177, Account Title: Hunain Bin Jabbar, Al-Hilal Society Branch, Karachi. If you choose to send a crossed cheque, please make it in the name of “Topline Publishers” and post it to Topline Publishers, Office #03, Bright Corner, Opposite Askari Park, Off University Road, Gulshan-e-Iqbal, Karachi, Pakistan. Ph: (021)34937440. Email a scanned copy of online transfer (or number of bank account from which the crossed cheque has been sent) to khurramsdesk@gmail.com Please note that this is important because the fees deposited with Topline Publishers will be credited to your name only after we receive this email from you. Registration closes Friday, August 17.